Whilst most of us would immediately identify bronze with third place — and no-one ever wants to place third — those in the the watch world know that this is actually one of the best precious metals from which to make a timepiece. 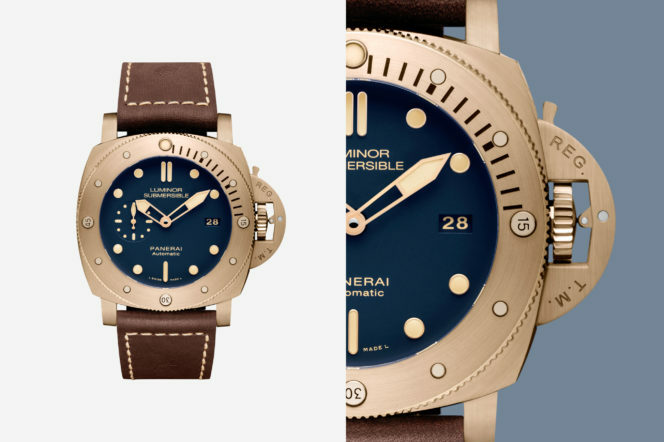 Slightly softer than stainless steel, the appeal of a bronze case lies in its rugged beauty. It may not stay looking shiny and new for long, especially if you are wearing it everyday, but it will soon take on a vintage feel with some light scuffs and scratching. But, as we all know, the rustic, vintage style is very much in fashion right now, with millions being spent on antique timepieces. So, to get in on the action, here are the five best ways to win bronze. An incredibly distinctive addition to the the storied Black Bay family, this bronze rendering makes us wonder why we wanted a Black Bay in steel in the first place. 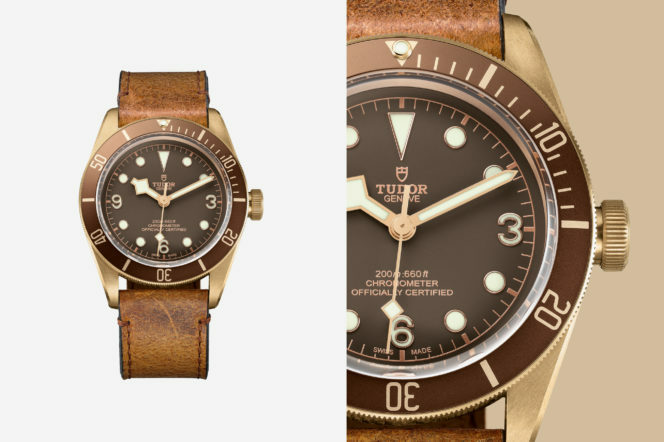 Paired with the aged leather strap, this offers the complete vintage look, while having the advantage of a modern Tudor movement running smoothly inside. An anodised aluminium bezel too adds a great subtle touch of colour along with a hard wearing material. If you’re buying a bronze watch to give the impression that you own a timepiece far older than it really is, then look no further. 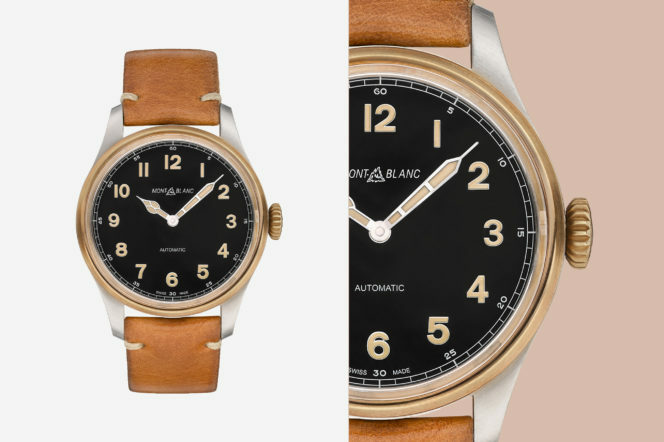 And Montblanc have gone the extra mile here by applying lume to the hands and numbers that already has a patina effect to them. 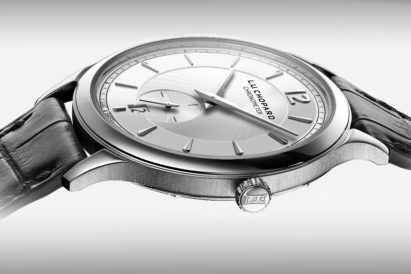 This model, and the entire 1858 line, draws its inspiration from Montblanc’s early work that came out of its Minerva workshop. And, from details like the cathedral-shaped hands to the Arabic numerals, it’s a throwback we love. 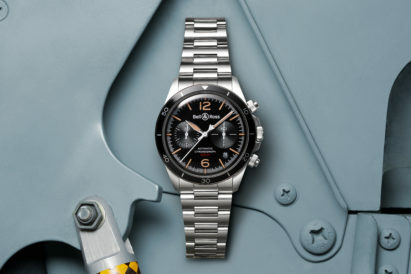 IWC have a long tradition of creating pilots watches, with their iconic Big Pilot’s range becoming more and more popular. 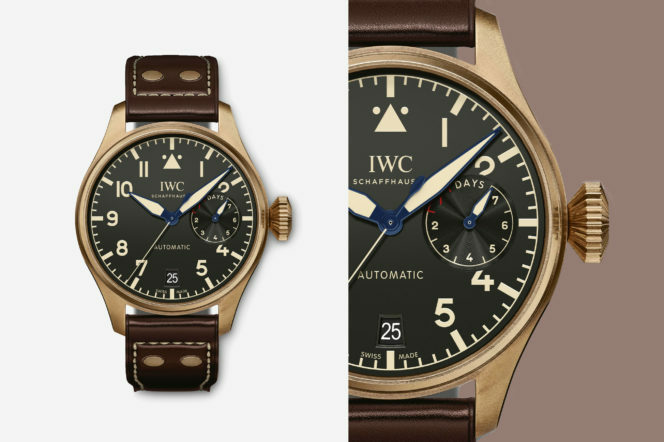 This bronze edition really helps show that heritage and legacy that IWC have built up over the last 150 years by combining the traditional case material with their anti-magnetic, 168 hour power reserve, automatic winding movement. Pieces of this model are hard to come by, with only 1500 being made. So, even if it wouldn’t be your first choice today, we can guarantee that these are brilliant investment pieces for the future. 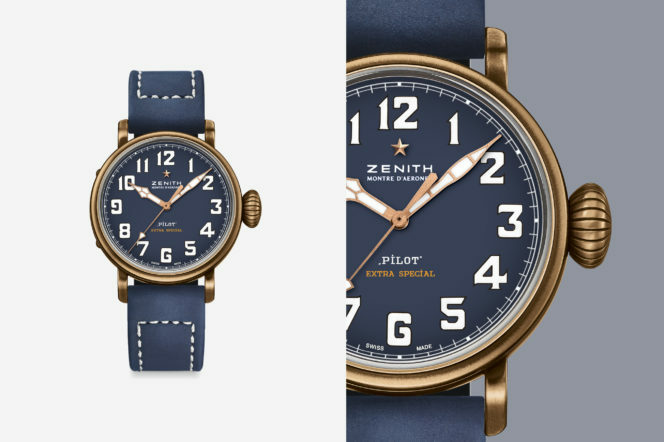 Adding a tasteful splash of colour to the world of bronze watches, Zenith have added a matt blue dial and blue oily nubuck leather strap to this timepiece to help compliment the colours that will come out of the bronze as it ages. It’s a clever move, and a colour combination that will just get better with age. And, even though it takes a lot of time and effort to create new colourways for watches, it’s an effort we’re glad Zenith went to. 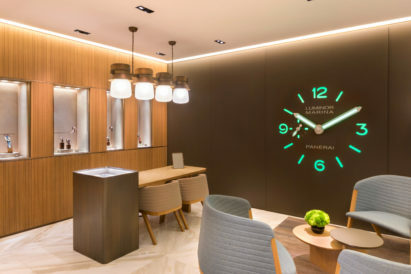 Unique and distinctive are two words that can be used to describe many of Panerai’s watches. Yet they seem particularly fitting here. Made with a special bronze alloy of copper and pure tin, this divers watch is highly resistant to the corrosive action of sea water. As such, this is a true tool, while still retaining the aesthetic ageing qualities of bronze. So it’ll both look and work as good on the surface as it does at 300 metres below the surf.